I wrote a short piece on Glow Futures a couple of weeks ago and it was published today in TESS under the headline ‘Glowing into the future may be easier said than done’. I tried to be constructively critical and hope it is read in this spirit. I was not completely surprised to read last month that the Cabinet Secretary had decided to cancel the Glow Futures procurement (‘Glow Futures snuffed out as Russell pulls plug’, TESS 9 September 2011). It is absolutely right that the Cabinet Secretary seeks smarter ways of achieving the same or even more ambitious ends for Glow. It would be good to see some of his thinking on this elaborated. What advice did he get on what could be done better and how the savings might be realised while at the same time improving Glow as a public service? What other voices did he listen to beyond the hyperactive technology super users? Given that the existing contract with RM ends in September 2012 the Cabinet Secretary should have been sufficiently concerned about the capacity of his officials to complete the procurement process within the timescale that they had left themselves. The initial Glow contract was signed two years before the service went live. Technologies have moved on from 2005 but there was a clear danger that completing the procurement project and getting the new service in place was going to be extremely challenging. When it comes to listening every politician is subject to the full range of opinions and I’m sure he heard it from all sides on Glow. Everybody that I know has been arguing for many years that Glow needed to change radically, despite the fact that it already incorporates some of the same open source collaborative tools that will feature prominently as part of the new approach. The Glow Futures procurement called for a more flexible and adaptable solution that better matched current reality and I’m sure that was reflected in the bids that were made. To my mind the Cabinet Secretary should have unstuck the procurement process at least 18 months ago. Allowed the market to be tested properly against a highly ambitious specification for Glow Futures. Then used the negotiation phase to get the flexible, adaptable and usable solution we all want. If there was less money to spend then let’s be up front about that and negotiate what we can best afford. Often less cash stimulates more imaginative and creative solutions. 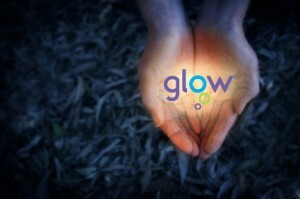 Glow is a real partnership between local and central government. So all the more disappointing that the first the local authorities knew about the decision was through YouTube. This video service can be viewed through Glow (contrary to TESS Editorial of 9 September) but continues to be blocked by some local authorities. If ubiquitous broadband for every home, school and business got the same attention as another bridge over the Forth then the local authorities would have no excuses left for blocking such valuable educational content. If we made mistakes in the past let’s be open in discussing them and also honest in recognising the context and what was available in 2005. Glow as a highly-scalable private cloud was pretty radical back then and required major software development as no such solution was available off the shelf at that time. The numbers around Glow are significant and growing despite the long overdue need to refresh the technology. We might not have reached the ambition of having every student, every teacher and every parent using Glow every day but the level of engagement dwarfs the number of people who have contributed to the largely disappointing #eduscotict wiki that was set-up following the announcement. The Cabinet Secretary calls for a solution that is not based on ‘big companies investing in big projects’ but all the options on the eduscotict wiki appear to centre on either a Google or Microsoft based cloud solution. RM, the current Glow provider, may be a FTSE 200 company but is tiny in comparison with either of these giants of the global IT industry. I also wonder if the 3,500 Scottish employees of ATOS, another one of the bidders for Glow Futures, see themselves as working for a big company that has not kept up with the latest developments in technology? Looking forward positively we need the best possible solution to keep Scotland at the cutting edge of learning and technology. Not for its own sake but as a central means of enhancing the life chances of our young people. Let’s hope that in a few years time Glow continues to be recognised by Audit Scotland as a rare example of a well-managed government funded IT project. Let’s also hope that it also maintains its hugely positive international profile. If the Cabinet Secretary is open to hear the voices of those who are committed to building great public services for the future then there is every chance of continuing success for Glow and I for one will be absolutely delighted.